5. It is warmer in the Caribbean during Christmas than it is in most places in the U.S., Canada or Europe and you will not have to shovel snow; and, much more. 9. Expect holiday music and classic Christmas movies; and much more. 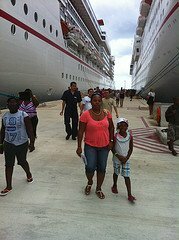 Christmas is a great time to cruise with family to the Caribbean! 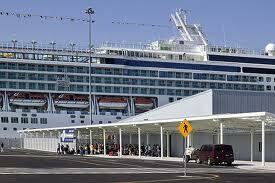 Holiday cruises, especially itineraries including Thanksgiving, Christmas and New Year's are generally very expensive. As you know, the children are out of school and many people take off from work during the Christmas Holidays. Consequently, the demand for cruise cabins tends to be very high and that drives prices up. The next tip is therefore very important. It is recommended that you book your Christmas or any major holiday cruise early - as many as 8-12 months in advance. You should get the best rates then, but it could also be a gamble. 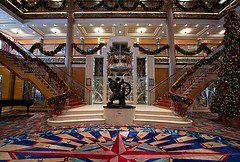 There have been previous years in which the demand for Christmas cruises actually fell and that resulted in last minute deals. If you are a risk taker, you may want to wait. If your gut says otherwise, go ahead and book it now. 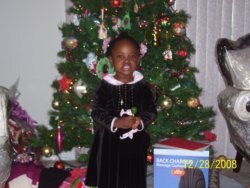 We can help you find a Christmas Caribbean Cruise for your family. Please complete the form below and let us find the best deal for you. You may also visit our website to search for a cruise: PetesTravel.com. 2. There is constant overbooking during the holidays. If you have to fly to your Caribbean cruise departure port, plan to arrive at the port a day in advance. If your flight is delayed on the day of your cruise for any reason, you may miss your cruise. 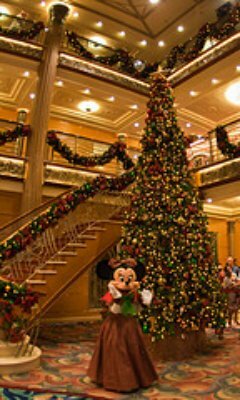 It is Christmas and there will be several festive events onboard your cruise ship, so plan to bring a few changes of dress-wear, along with holiday decorated wear - Santa hat, elves wear, reindeer antlers, etc. Depending on the size of your family, you will need adequate space in at least one cabin where everyone can meet for that special holiday huddle and to exchange gifts. Consequently, you may consider getting a balcony cabin or suite. Note that this will cost more. Another thing to note is that there are not too many cabins that hold a large number of people and so these must be booked quickly. 1. Many of the Caribbean islands are "shutdown" for Christmas Day and for others, even Boxing Day (day after Christmas). Except for the beach and a few places, there is not much to do. On the other hand, some Caribbean ports of call - such as St. Kitts - have huge celebrations during the Christmas season and you will have lots of fun dancing, singing, watching parades or just interacting with the natives. Let me hasten to say that your Caribbean cruise line knows where not to stop. In many cases you will find that your ship remains at sea for Christmas Day or New Year's Day. 2. While an inclusive Caribbean cruise is always great fun - for my family at least - and a Christmas cruise is said to be no less, some people are known to "'miss home." Note that you are used to Christmas being celebrated a certain way, with probably the same people every year. You may feel overwhelmed by not being able to recreate that same experience onboard the cruise ship. 3. Finally, please remember that your cruise ship's staff are far from home and family during the holidays, so be extra considerate of them. Well, that is quite a mouthful about cruising during Christmas. Go ahead, plan your cruise and when you get back, please tell us about your Christmas Caribbean cruise when you return.